Could the movie adaptation of “BioShock” be in the works yet again? Sony Pictures has recently registered three domains that hint at the progress of the film. 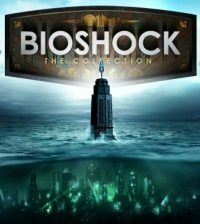 Sony Pictures now owns the domains bioshock-movie.com, bioshock-movie.net and bio-shock.net. At the moment none of the URLs will bring up nothing related to a possible movie or the game. But it could be that Sony is acting out a preemptive move in case the movie is greenlit later down the road. Recently, IGN reported that Courtnee Draper, the angel of voice acting who voiced Elizabeth in Infinite, has been begging Ken Levine for the live action role in the event of the movie moving forward. Don’t get too excited yet though. This does not mean the BioShock movie is entering into production. 2K Games still says “No Comment” about the rumors unfortunately. Sarah is a journalist and an artist who lives in the city. She loves movies and television. She reads early and often. She also secretly hopes the Doctor will come and take her away, though she realizes he probably already has a dedicated companion at the moment. Sarah also helps out over at BSCkids.com, Optionated.com and our other sites!